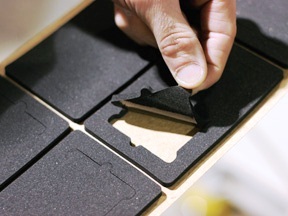 We manufacture gaskets in any technical foam, whether flexible or semirigid, in any density and thickness. We stock a large variety of technical foams in order to cover most requirements in any application. 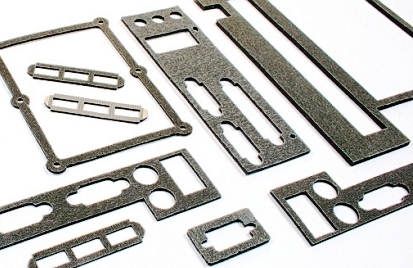 Our means of production are very varied, we can cut technical foams by die, water jet, plotter and milling. We can deliver these gaskets in bulk or with backing, either full cut or kiss cut and with a choice of adhesives. - Polyethylene foam, ideal for sealing and expansión, acoustic and termal aplications. - PVC foam, that offer great abilities in sealing of water, dust and air, especially on irregular surfaces. 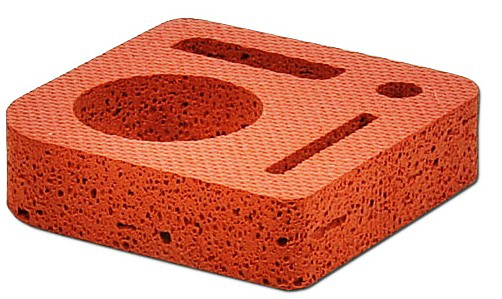 - Polyurethane foam equaly offers superb qualities as absorbers of dust and noise. - Foamed rubbers with excellent recovery performance. - Melamine foams are good acustic and thermal sealants. - Aerogel acts as a termal sealant at high temperaturas.